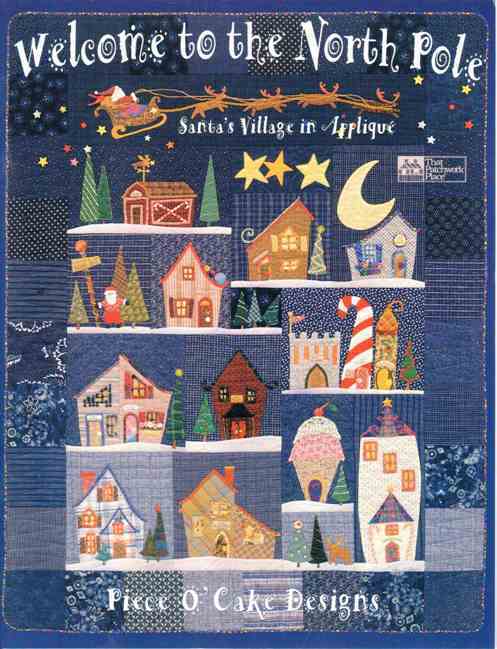 Don’t you just feel a sense of achievement when you have completed a block on a quilt you are working on. 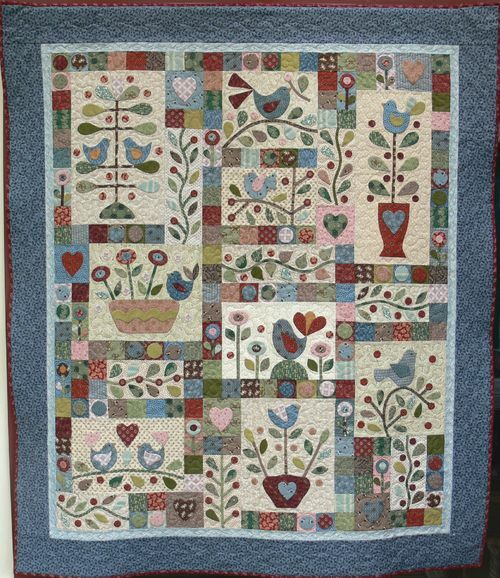 I have been working on Berries and Blue Birds for a while and am slowly finishing the blocks. I now have 4 blocks completed and am slowly working through the other blocks and completing them. The challenge I find is deciding what colours to use when laying out the border pieces. 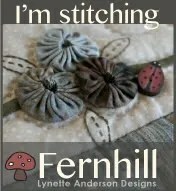 I like the fact that some quilt uses a fabric range, which makes it easy to match the fabrics as you know they are designed to compliment each one. 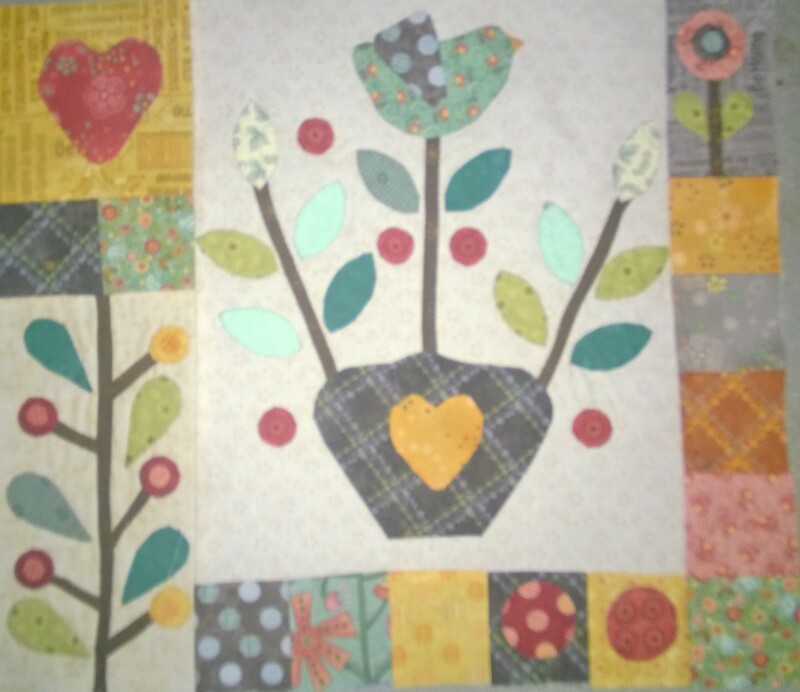 The range used for this quilt is Wingin’ It by Buggy Barn and they work very well together. I had started to redo some of the leaves and berries that I was not happy with and I think it turned out better. I have just discovered half-triangles. I found a range called Surrounded by Love by Deb Stain for Moda. 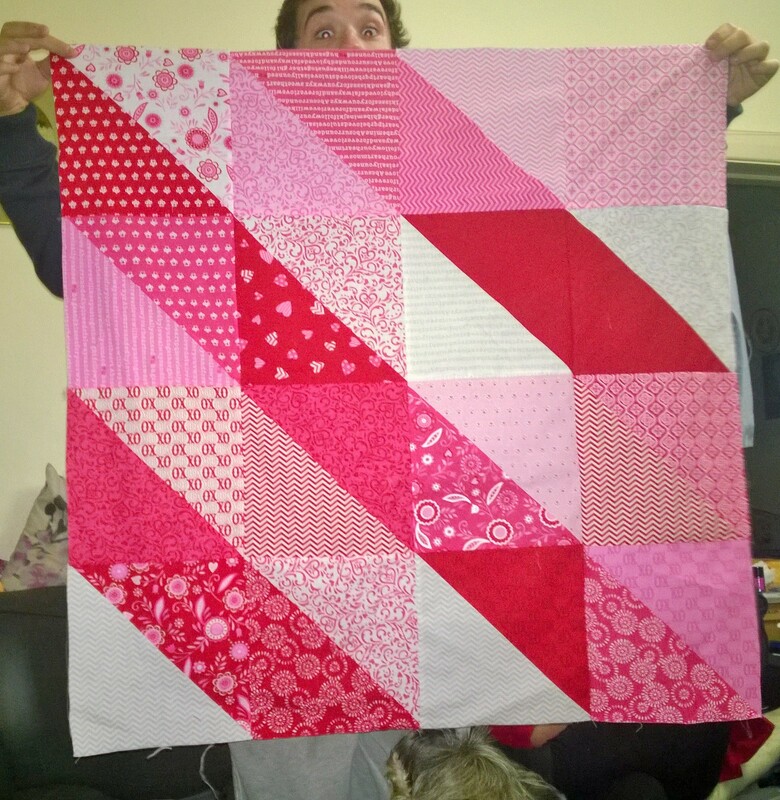 and used the Moda Bake Shop and found a lovely quilt called The Dark Side…or Not Layer Cake Quilt. It is coming along very quickly. 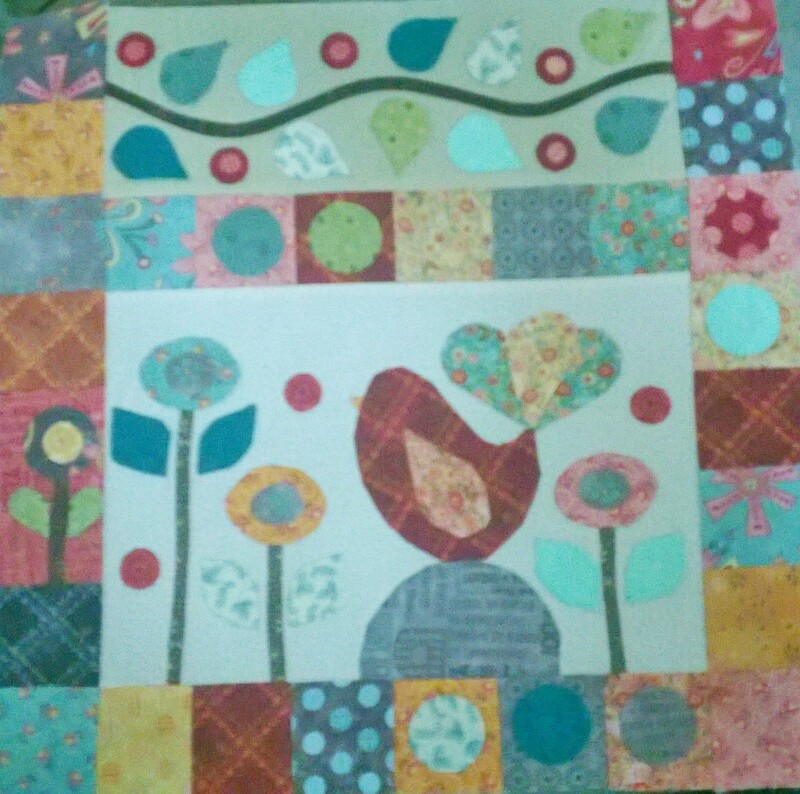 I just need to sew the last row and I have then completed half of the quilt. The challenge I find is trying to get the corners to join nicely. 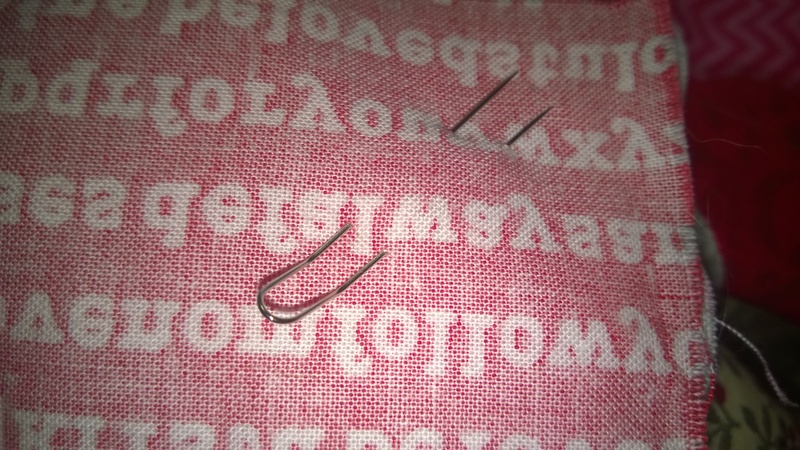 I recently discovered a Clover product called Fork Pins and I have been using them to join corners. I have found them very helpful. This entry was posted in Berries and Bluebirds, BOM, Clover, Fork Pins, Moda, Moda Bake Shop and tagged Berries and Bluebirds, Clover, Deb Stain, Fork Pin, Gail Pan, Gail Pan Designs, layer cake, Moda Bake Shop, Surronded by Love. Bookmark the permalink.